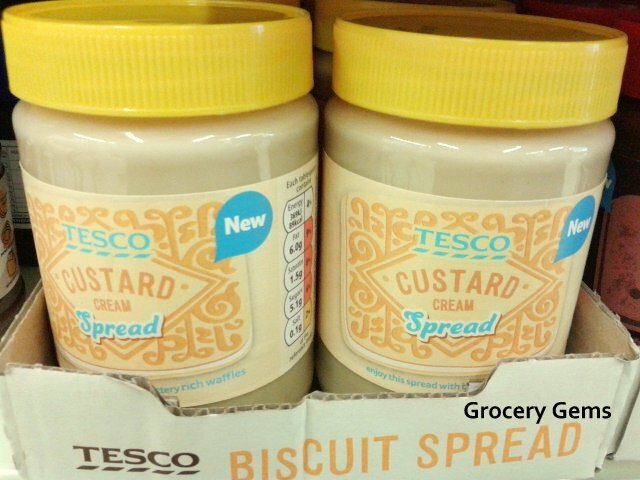 Tesco is selling Custard Cream biscuit Spread! We don’t know about you but we’re getting kinda bored with the same old toast toppings. Well, after the 193,099th morning in a row, we’ve got a little bit fed up with them. Yep. Custard Cream actual Spread. It’s the biscuit you love – in a spreadable form! Genius! It’s £1.99 for a mahoosive jar and we are racing down to our nearest Tesco right away to get ours! Toast will never be the same again!